STATESVILLE, North Carolina (WTVD) -- Another tragedy involving a child and water has happened, this time in the western part of the state. 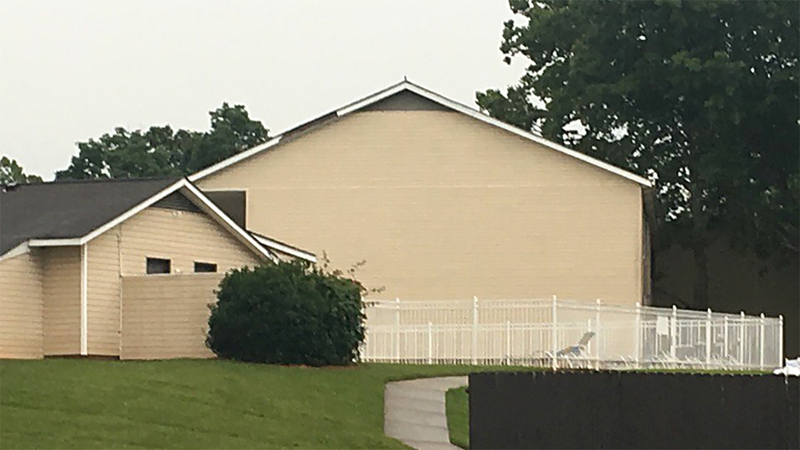 ABC11 affiliate WSOC reported that a 5-year-old drowned Monday afternoon at a pool at the Signal Hill apartments in Statesville, officials say. The Statesville Police Chief said efforts to resuscitate the boy were unsuccessful. A woman who worked at a hospital tried performing CPR on the child, one witness said. I heard screaming," one woman who witnessed the panic and heartbreak, told WSOC. She was at the Signal Hill apartment pool on Monday afternoon when police said the child drowned. "My son ran to the door and told the landlord to call 911," the woman, who did not want to be identified, said. There were several people in and around the pool, and the boy's parents were just outside the fence, she said. The boy had just been playing with the woman's 4-year-old grandson. A sign that read "pool closed" was hung at the pool after that and a padlock was put on the gate. The pool had just opened this weekend for the summer season. The Statesville Police Department is investigating. Last week, there were two child drowning deaths in the ABC11 viewing area. A 2-year-old girl died Thursday after she was pulled from a pond in Johnston County. Earlier that day, a 2-year-old boy died in Hope Mills after he fell into a swimming pool behind a family home. The boy had slipped out through a pet door.